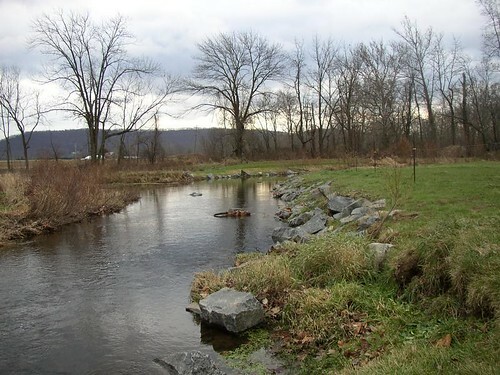 The Guntz Farm, located in the Manatawny Watershed, was able to restore approximately 1,350 feet of eroded streambank through the efforts of Berks Nature (formerly Berks County Conservancy). 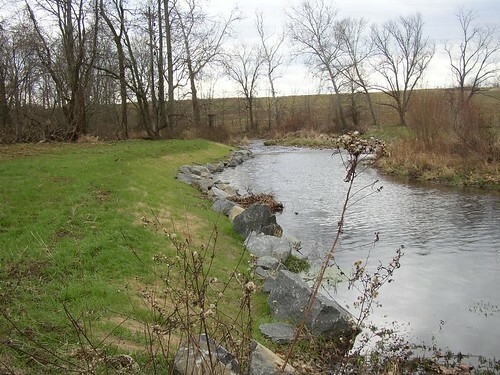 Over 150 tons of boulders were used to stabilize the eroded banks, and seeded with native streambank rye seed to minimize additional erosion issues. 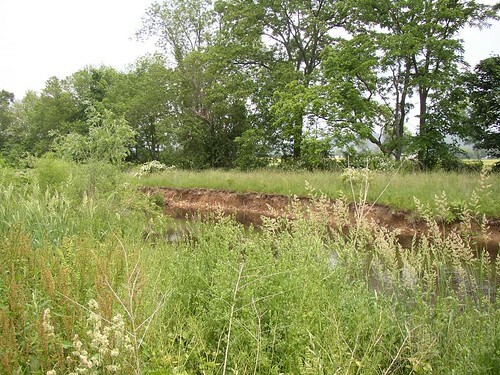 The exsting indigenous vegetation was supplemented by the planting of an additional 15 native trees. Phase 2 of the project included the construction and installation of a 12 x 70 concrete manure storage facility and transfer system that will constrain manure from leeching into the creek. This also allows the farmer the ability to spread manure onto local crop fields at the optimum times of year which also avoids runoff into the Manatawny. In addition to the manure storage facility Berks Conservancy also installed several stream cattle crossings and a new roof over the barnyard. 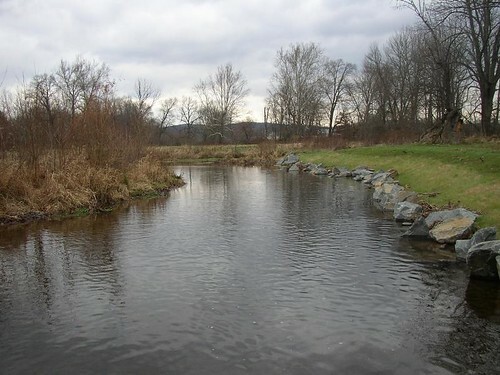 The completion of this project has had a tremendous impact on the continued high water quality of the important Schuylkill River tributary.